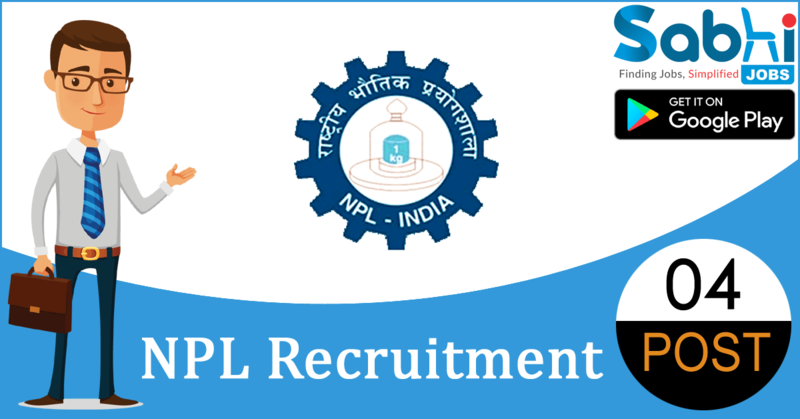 NPL recruitment 2018-19 notification has been released on official website www.nplindia.in for the recruitment of 04 vacancies at National Physical Laboratory. The candidate who is looking for Skilled Manpower (Junior IT Technician) can appear for Interview 8th August 2018. Qualification 12th or Intermediate with minimum 6-month Diploma in IT Hardware and Networking or 3 years Diploma in IT domain. How to Apply Interested and Eligible applicants may appear for Interview along with prescribed application form and latest passport size photograph, original and self-attested copies of all certificate/ testimonials at the time of Interview. Venue of Interview: At CSIR-National Physical Laboratory, New Delhi.